For the military, trying to determine how to come to terms with cyber and information has been a continuous challenge, as noted by the recent change in the U.S. Air Force cyber missions. This may be true, but over 20 years ago the Air Force created nearly these same cyber reporting relationships and for the same reasons. What is being hailed as a major breakthrough is no more than returning to the mission alignments that were in place when I was at Headquarters Air Force in 1997. In the 1990s, the Air Force viewed cyber as a subset of information warfare, with the emphasis on warfare, as I discuss in a recent article in Air Force Magazine. The head of Air Force Intelligence (now the A-2), Maj. Gen. John Casciano, believed that information was not just warfare but indeed the future of warfare, the reporting structure changed do he would report to the Deputy Chief of Staff of Operations (the A-3) to oversee every aspect of information warfare: counter propaganda, electronic warfare, intelligence, and what would soon be called cyber: computer network attack and defense. Intelligence was now running operations. Many of those first cyber and other information warfare missions resided with the intelligence specialists at Air Intelligence Agency (AIA) who “defended the information highway” and “participat[ed] in, rather than just support[ed], combat operations.” In 2001 to “normalize” cyber missions, and recognize “the growing role of information operations as a war-fighting weapon” and integrate cyber with targeting, electronic warfare, and traditional war fighting. Sound familiar? Yet ACC remained the cyber lead only until 2009, when the mission was transferred to Air Force Space Command, under the argument that “normal” didn’t mean integrating cyber with traditional airpower but cyber with space-based capabilities. Both “space and cyberspace forces are inherently global … unfettered by time and distance,” and anyway critical military communications depends on space-based satellites (though these represent a minuscule fraction of global bandwidth). Then in 2018, that decision was reversed, with the cyber and intelligence missions (the 24th and 25th Air Forces) re-assigned back to ACC and integrating cyber mission with electronic warfare and other traditional Air Force combat tasks. The “normal” mission of cyber was now closer to war fighting and not support. One senior Air Force general crowed that “cyber operations and intelligence in cyber capabilities under one command is a significant step towards enhancing our war-fighting capabilities,” perhaps not realizing the “significant step” was merely a flip flop to fix a 10-year-old mistake. Perhaps this is only a single flip-flop and the service now realizes that by combining space and cyber it made a historic mistake, setting it back a decade. 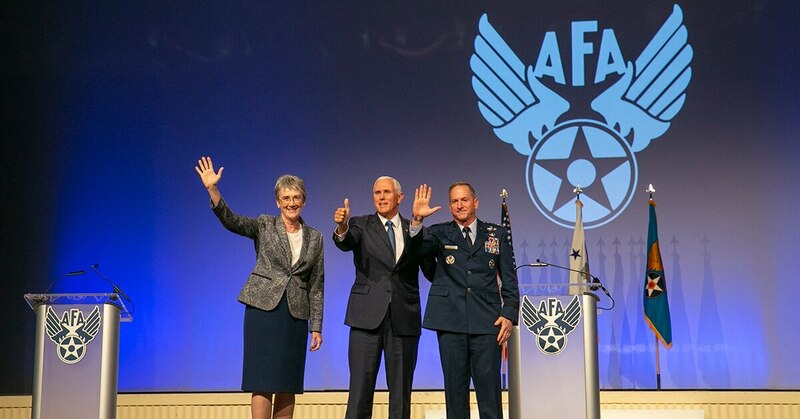 But perhaps Air Force leadership will switch again, finding that the cyber missions should be aligned with, say, communications or even special forces. If so, it will not just be another flip-flop but the next step in a decades-long cycle of confusion of just how to understand cyberspace and respond to its opportunities and challenges. Jason Healey is a Senior Research Scholar at Columbia University’s School of International and Public Affairs and author of the first history of cyber conflict, A Fierce Domain: Conflict in Cyberspace, 1986 to 2012. He served as an Air Force intelligence officer in key early cyber-related jobs, including Air Staff (1997-1999) and the JTF-CND (1999-2001). Parts of this article are drawn from “From Cybernetics to Cyberspace,” in the January 2019 edition of Air Force Magazine.